One of the highlights of my summer was our family vacation to Western Canada, particularly the Okanagan Valley in British Columbia. While the valley is known for wine tasting, it’s also a fantastic family destination. There’s opportunities for boating, fishing, hiking and, of course wine tasting — even with family! 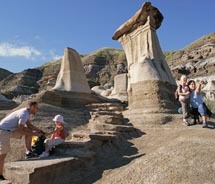 Recently, I documented some of the highlights of Western Canada in an article for TravelAge West.